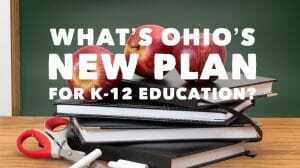 The Ohio Department of Education recently announced its decision to roll out a new, five-year plan to transform the state’s approach to K-12 education. “Each Student, Our Future” was developed over the past year by various interest groups including educators, parents, business leaders, and state legislators to better prepare students for success after graduation. The ultimate goal is to increase the annual percentage of young adults who, one year after graduation, are enrolled in a post-high school learning experience, serving in the military, or are working in a self-sustaining vocation. The department’s strategy moves away from traditional, test-based policies and towards a more holistic approach that takes the individual needs of all students into account. The plan promotes the development of “The Whole Child” by emphasizing the importance of various soft skills, including leadership abilities, responsible decision making, and problem solving. According to State Superintendent Paolo DeMaria, “So many times, we’re looking at averages and numbers of students that are proficient or better, and we clump students together when we really need to recognize that each child is different, each child has their own potential, their own inspiration, their own passions, their own interests and pathway to success.” Policymakers believe that this new approach will inspire students and excite them about pursuing the career path of their choice. Three core principles are at the foundation of Ohio’s education plan: equity, partnerships, and quality schools. The state’s most pressing obstacle is equity—1.7 million children are enrolled in more than 3,500 public schools across the state, and as of 2017, over 50% of them are considered to be “economically disadvantaged.” The proportion of homeless students in Ohio has increased 157% since 2007. In addition, Hispanic student populations have increased by 104% and English learners have increased by 85%. The department notes that these demographic shifts must be met with a comprehensive plan to close the achievement gap and to ensure that all children are provided with the resources, support, and education that is needed for them to succeed. None of this can be made possible without strong community partnerships and school systems. “Each Child, Our Future,” will be implemented to prepare students for Ohio’s future job market in an unpredictable and rapidly changing economy. The Department of Education outlines 10 specific strategies to turn its vision into a reality so that “each child is challenged to discover and learn, prepared to pursue a fulfilling post-high school path and empowered to become a resilient lifelong learner who contributes to society.” By shifting away from standardized testing and taking a more holistic approach to education, policymakers hope that Ohio’s children will leave high school better prepared to become happy, healthy, and productive adults.